OLD PARKED CARS. 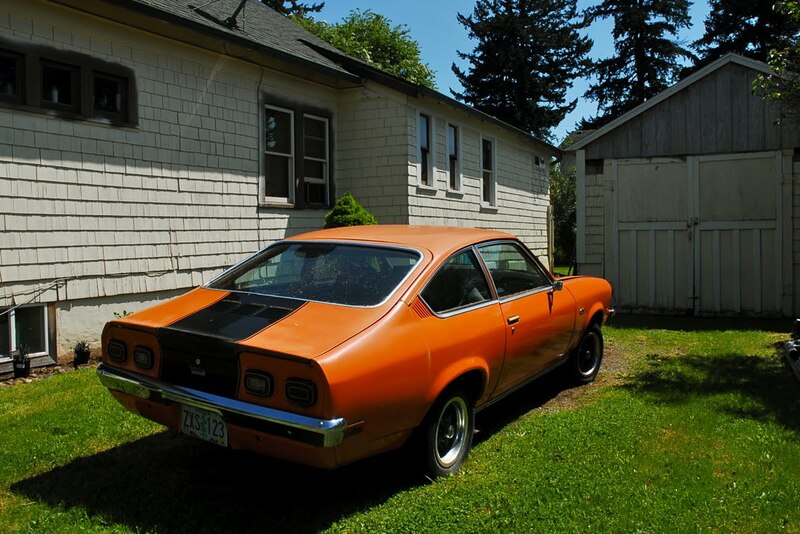 : 1973 Chevrolet Millionth Vega GT. 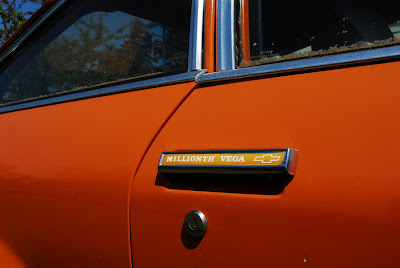 1973 Chevrolet Millionth Vega GT. Perfect colors and saturation in the photos, and wow-is this really the millionth Vega GT produced? Funny-the millionth Vega is one of 20-30 left in the US. I agree...great colors! I've always really liked Vegas. They look sorta like mini Camaros. 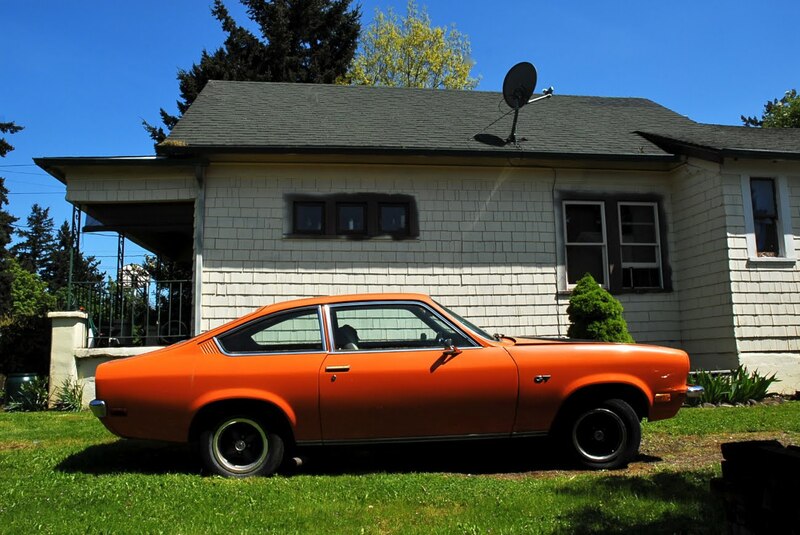 Pretty muscle car-esque. They also remind me of Australian muscle cars. I don't know why, but they do. About 6,100 of these special Millionth Vega editions were made. It's in unbelievably good shape. I wonder does it run? It looks like an Opel in the profile. @Dave... it should have been an Opel. GM could have broght over the equipement and given us a better small car for the 70's. of course it runs, how could anyone ask such a question?! a best of 2012, absolutely. They went with a Chevy Badge because the name "Opel" took a beating with the early Kadetts. Killed the brand stateside. Great find, extremely rare car, and SeattleO, I`ve never really thought of it that way! They do really look like little 2nd generation Camaros! I left my Millionth Vega on a friends farm in Saskatchewan in around the summer of '83. 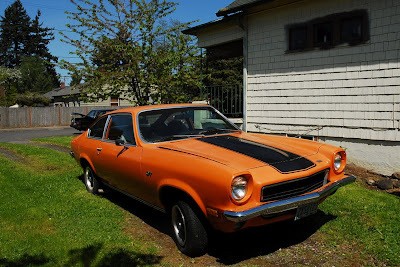 We had put a hood scoop on it and I cut the middle of the bumper in front of the grill to make it look like a early Camaro. The engine was toast when I left it but I would not be surprised if it is still sitting on his farm 30 years later. I know where one of these are just sitting it has all the millionth badging. No rust not running has a very straight body and interior. What is something like this worth roughly. WANT TO BUY A MILLIONTH VEGA. 319-310-3366. Call or text. Thanks Rich.